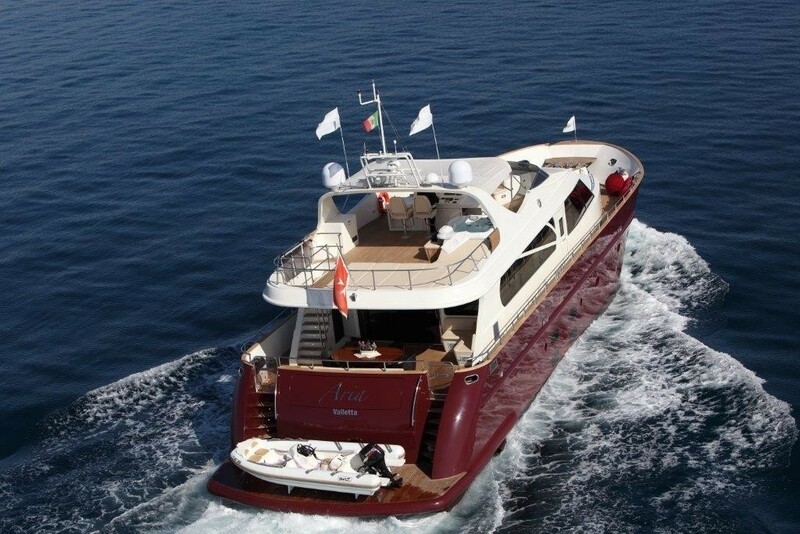 Motor Yacht ARIA is a 27,3m (90ft) luxury displacement vessel built by C-Boat and launched in 2009. 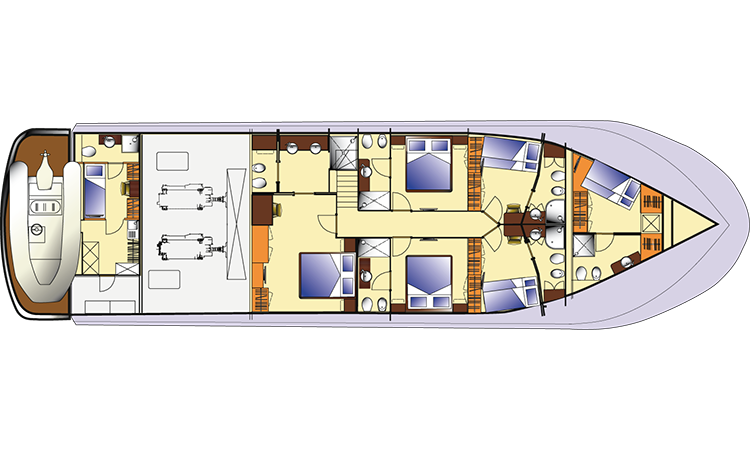 Superyacht ARIA is available for Western Mediterranean yacht charters, offering accommodation to 10 guests in five staterooms. 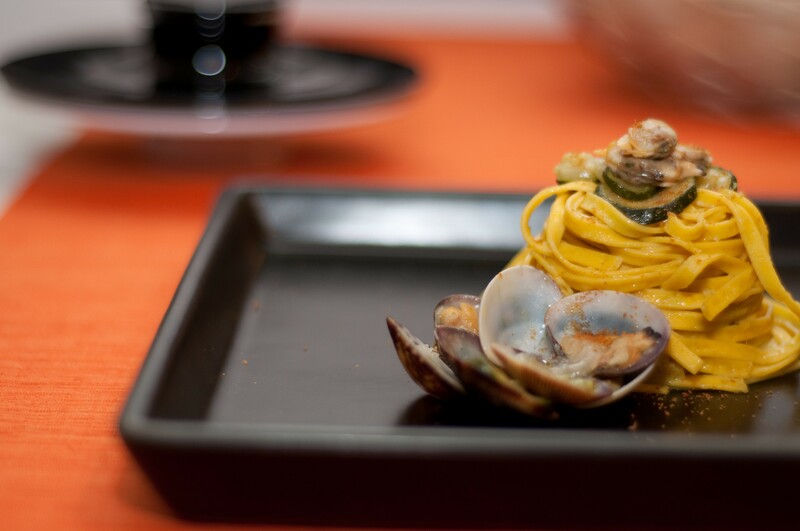 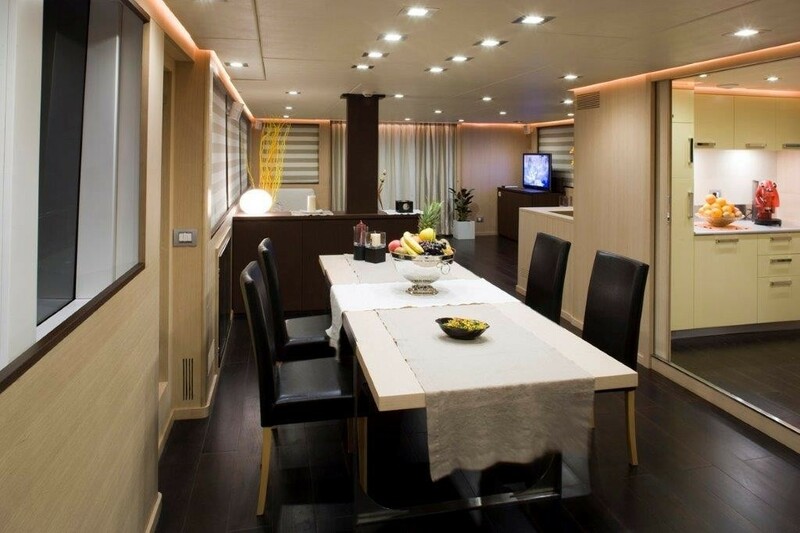 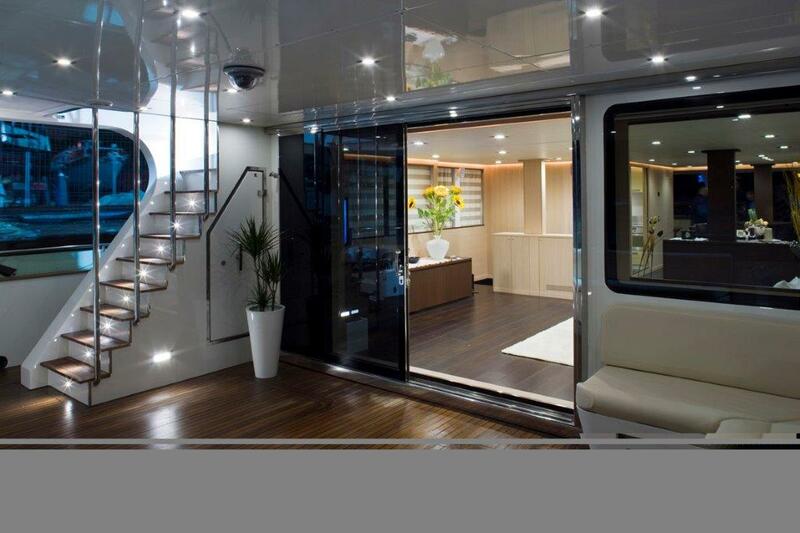 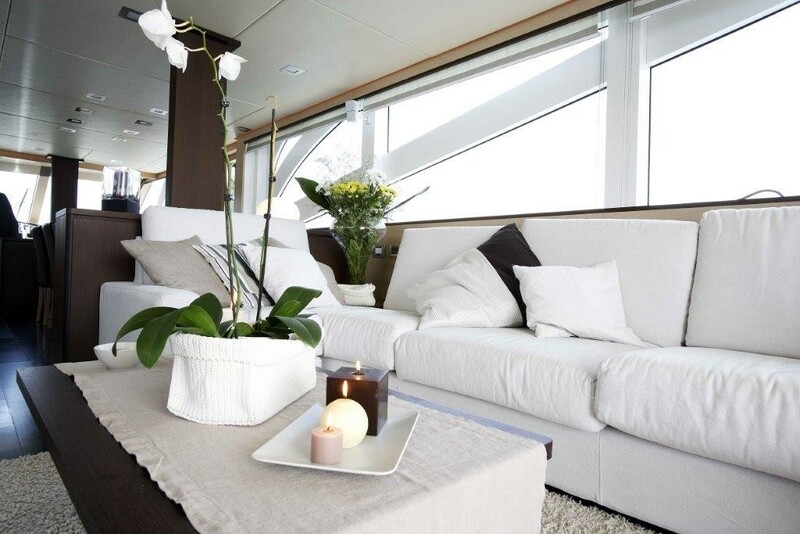 ARIA yacht offers great exterior and interior spaces and plenty of space for entertainment and socialisation. 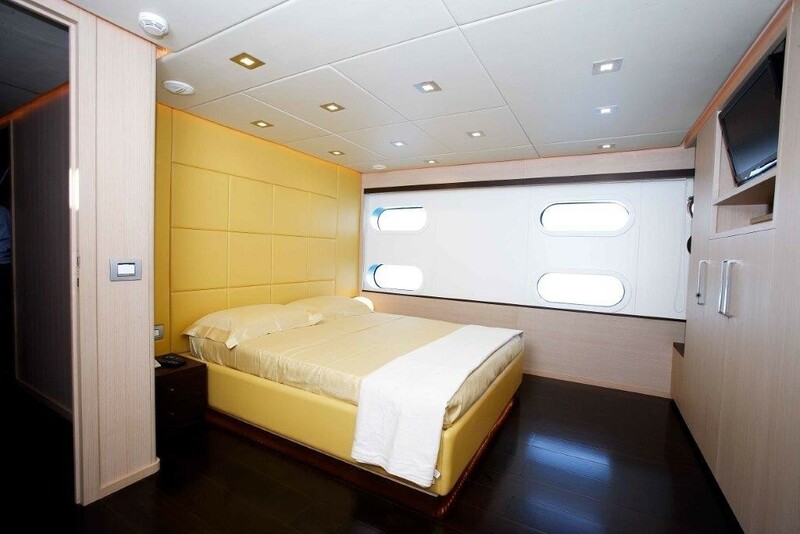 She has a generous beam of 7,5m (typical of longer yachts) and provides accommodation in one owner’s suite, two double and two twin staterooms. 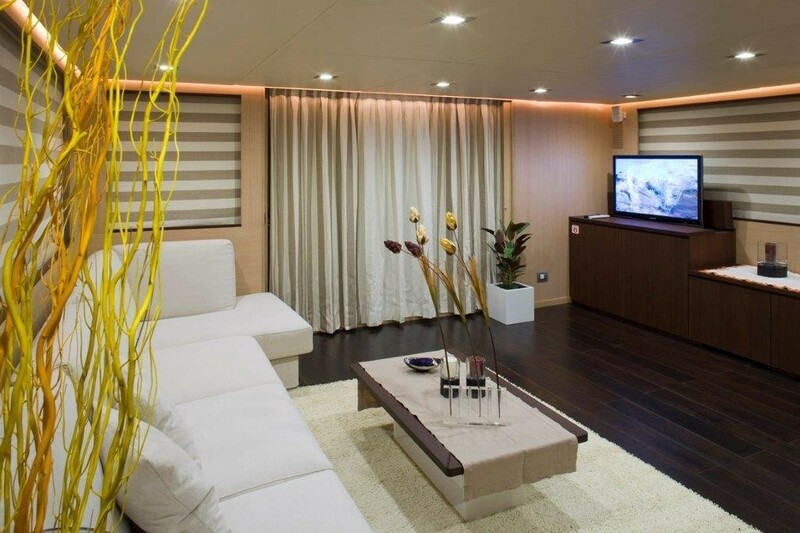 The interior décor is contemporary, featuring rich dark woods and crisp white soft furnishings. 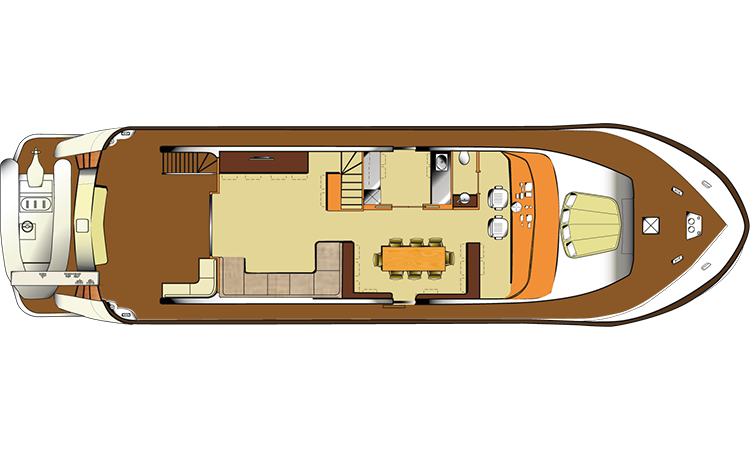 The salon is an open plan with the spacious lounge aft and formal dining forward. 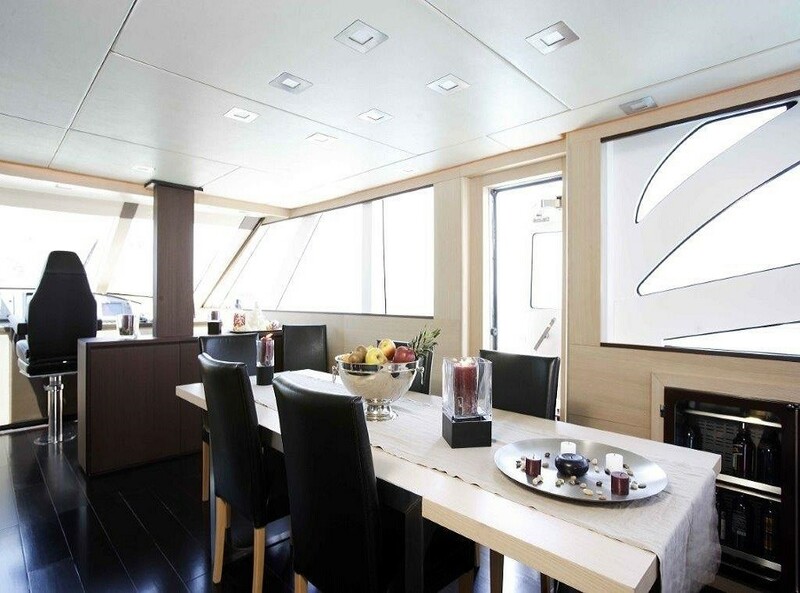 Surrounded by panoramic windows, the salon and dining received ample natural light, creating a fresh and refined ambiance. 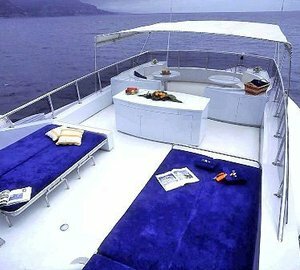 On deck guests have plenty of choices for relaxing and entertaining. 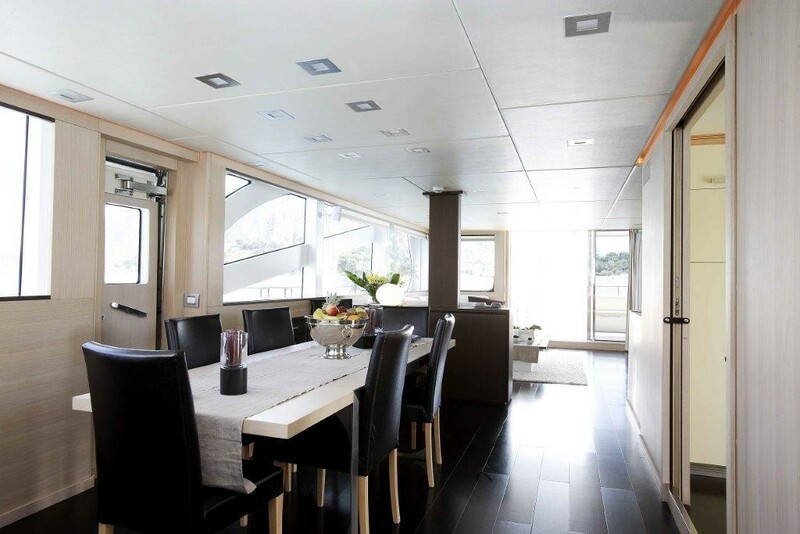 The aft deck is shaded and has an alfresco dining option. 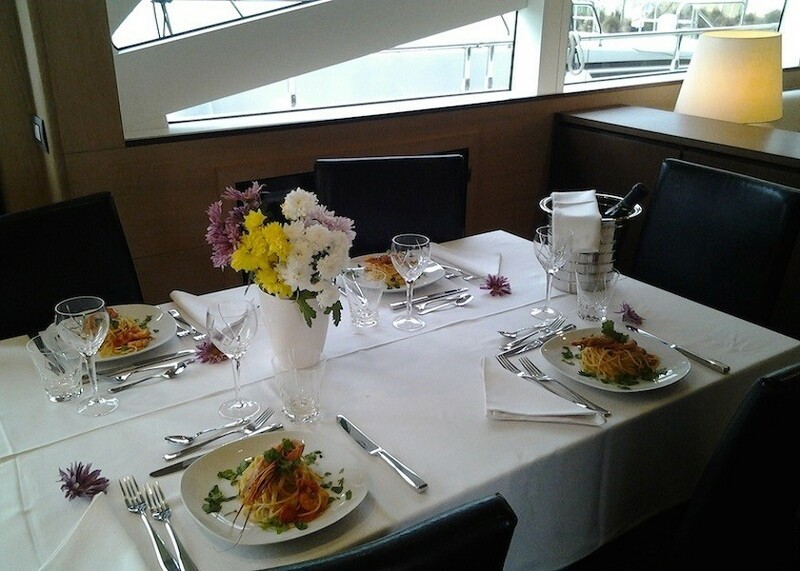 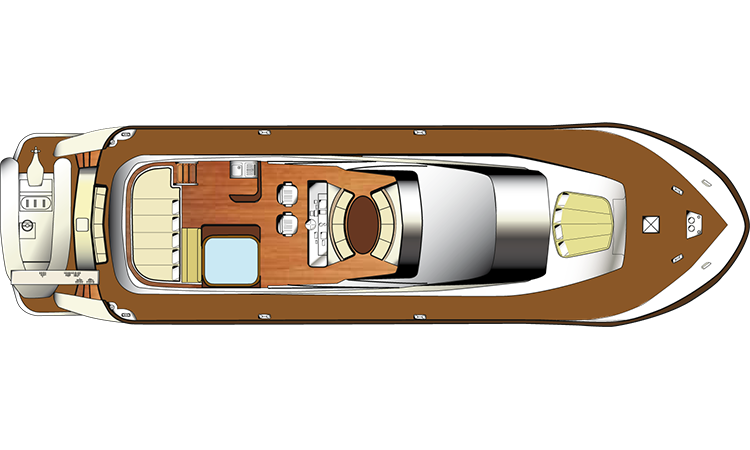 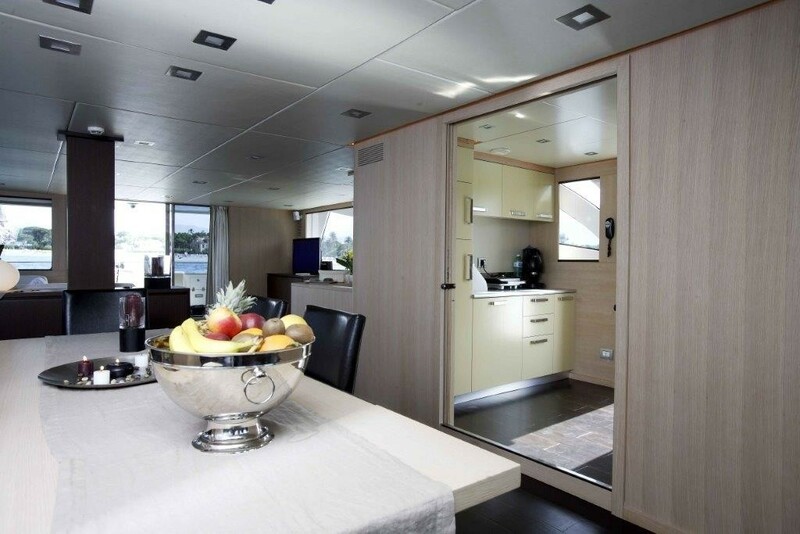 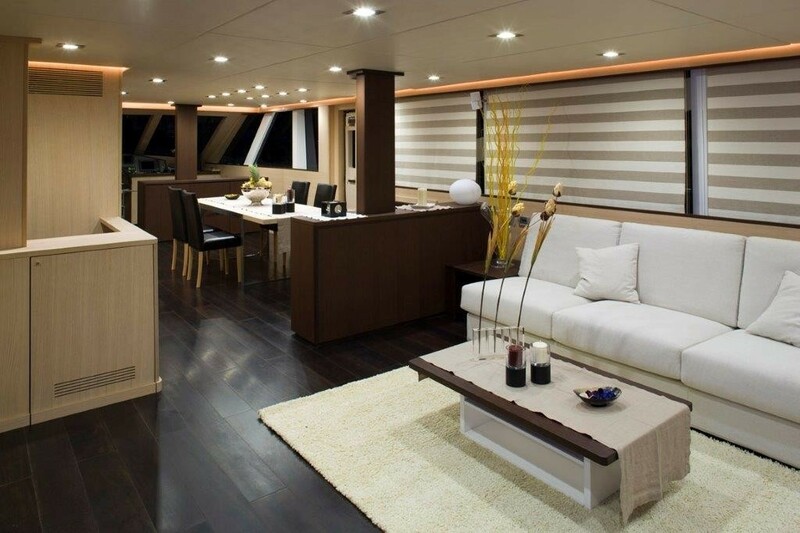 On the foredeck is a generous seating area and sunpad. 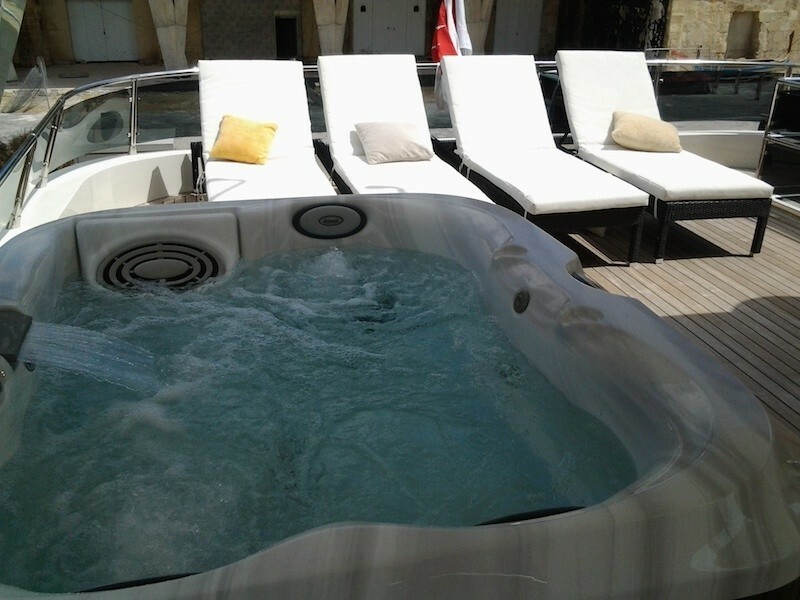 The upper sundeck is a crowd pleaser, boasting an alfresco dining table, deluxe Jacuzzi and chaise loungers. 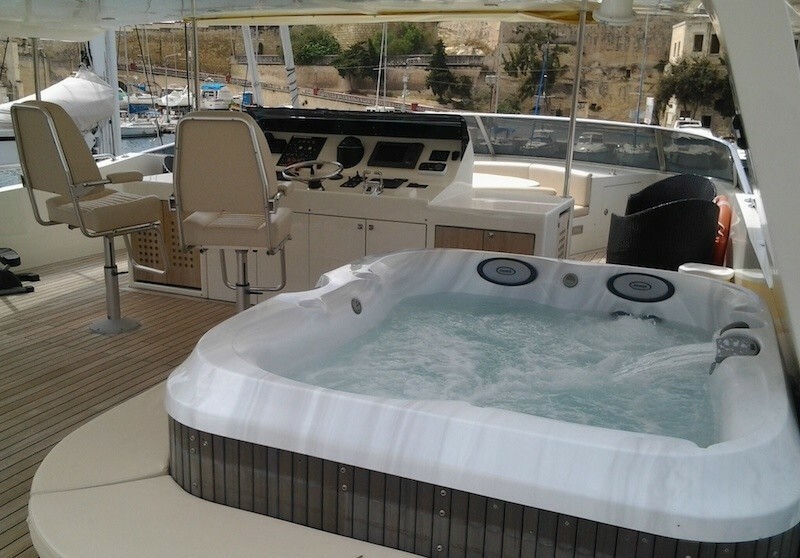 For the water enthusiasts, an extended swim platform provides effortless water access. 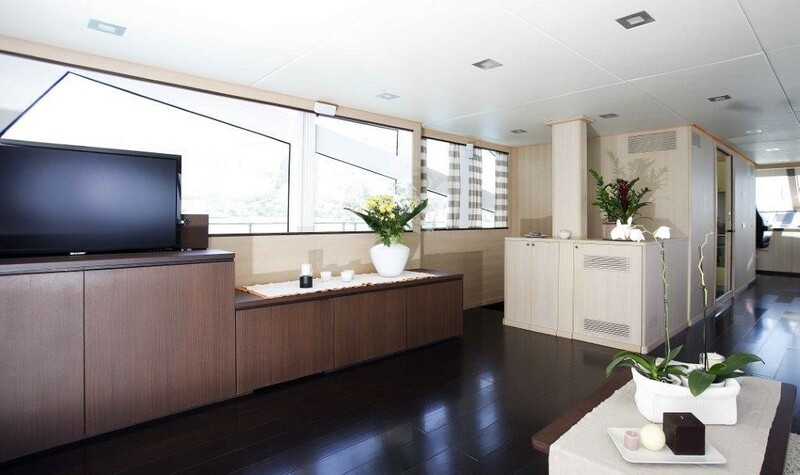 Luxury charter yacht ARIA was designed as a working vessel and converted into a yacht with five-star hotel standards and amenities. 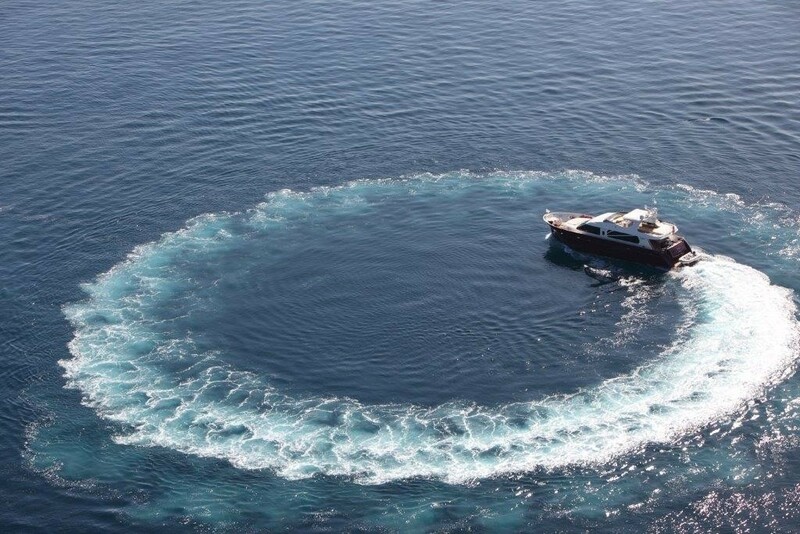 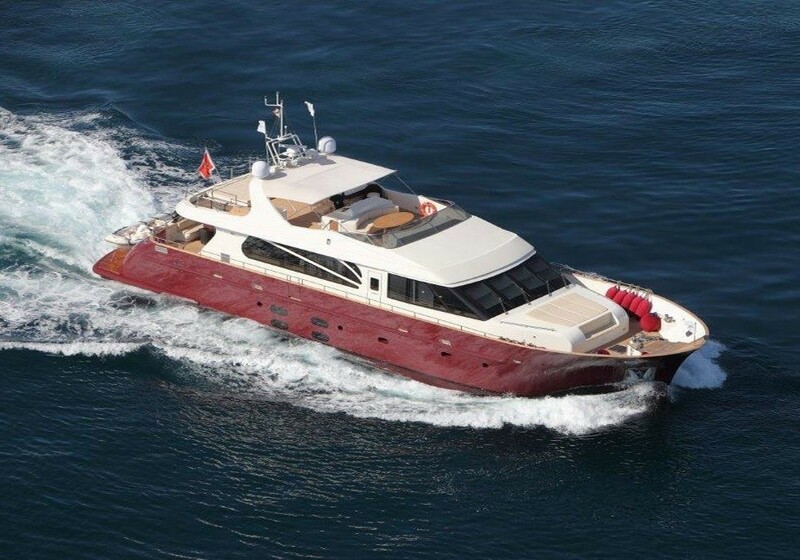 She is a safe and comfortable boat ready to take on any kind of weather or seas. 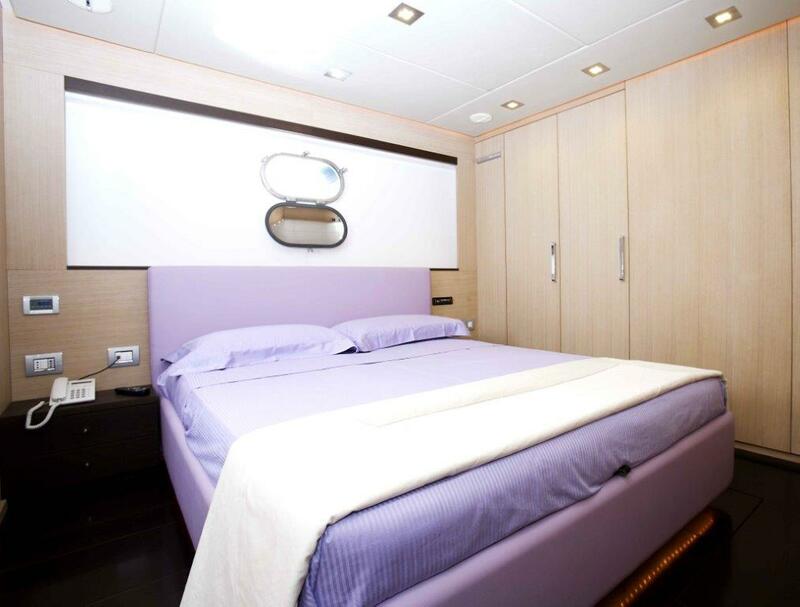 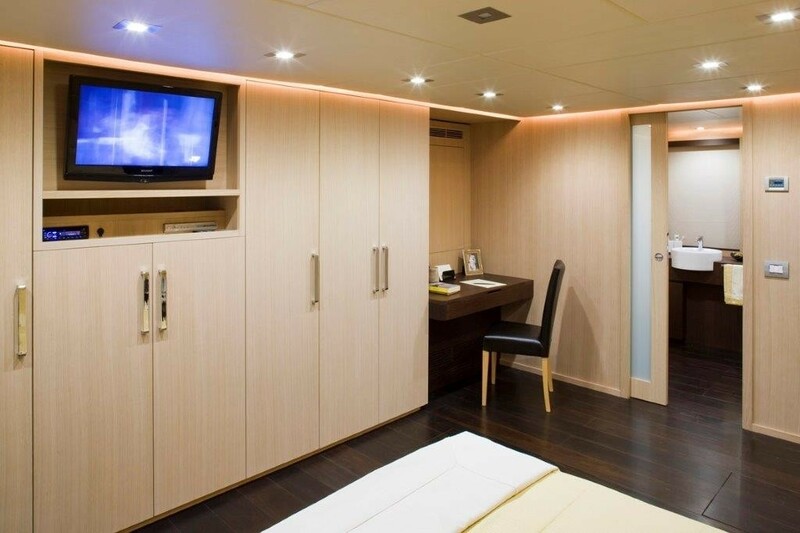 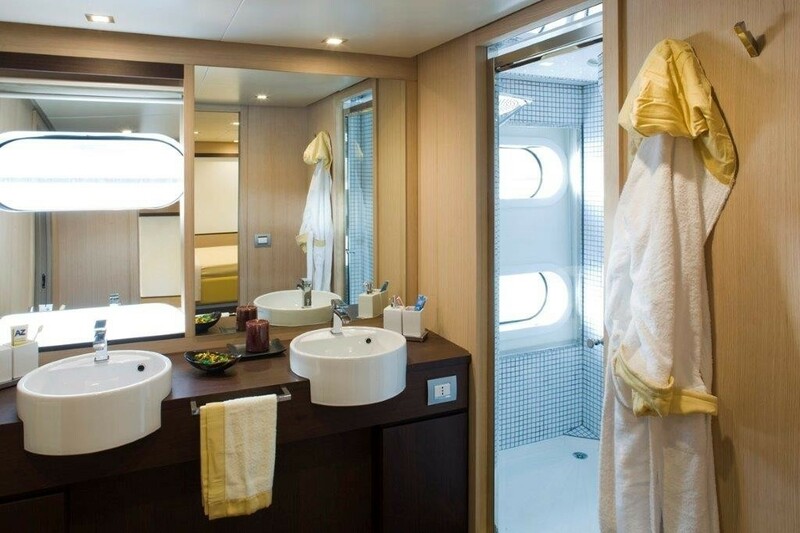 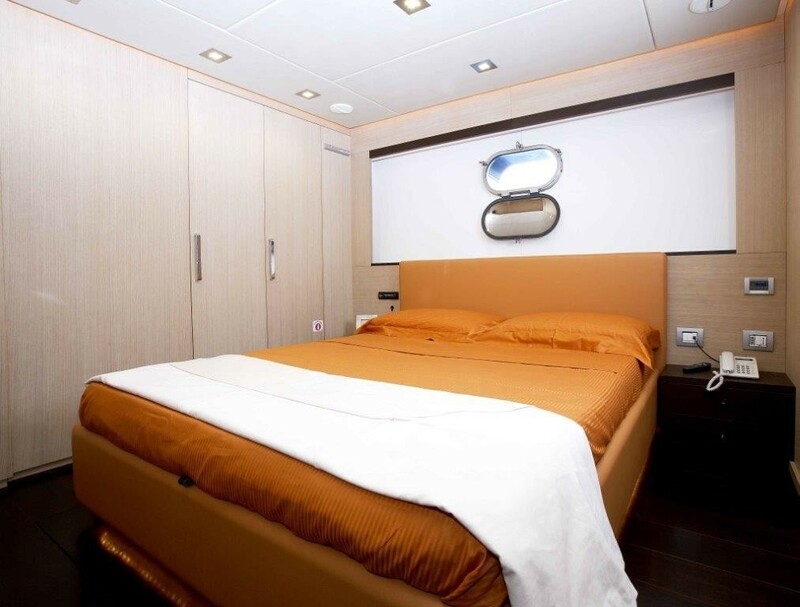 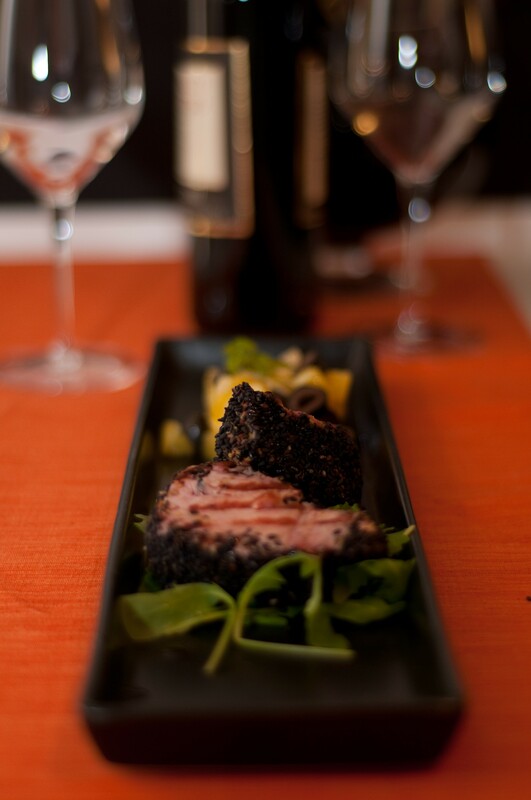 Accommodation for 10 charter guests is provided in one Owner's suite, two double and two twin staterooms.